Each year, SAR invites members on exciting trips across the Southwest. Led by scholars and experts ranging from anthropologists and archaeologists to art historians and Native American artists, each field trip offers a one-of-a kind experience. With a mix of regional day and overnight trips, there is sure to be something for everyone. Read below about this season’s mix of locations and topics. Current SAR members may attend these popular field trips, which are offered on seasonal schedules throughout the year and range from half-day trips to adventures lasting several days. Easy: Limited walking. Participants must be able to get in and out of vans and walk unassisted short distances from parking areas to museums or art studios. Moderate: Participants must be in good health. Activities may require walking on paved or unpaved surfaces with generally firm footing, over distances of up to 2 miles over the course of the day. Strenuous: Participants must be in excellent health, extremely mobile, and accustomed to an active lifestyle. Activities may require hiking off-trail, over uneven ground with elevation changes of 500 feet, and walking the equivalent of up to 5 miles over the course of the day. If an individual participant cancels, all monies will be refunded up to six weeks prior to the trip date except for any tickets already purchased, or penalties incurred from the hotel for room cancellation. The donation portion of the trip is not refundable. In addition, if the cancellation of this individual brings the trip total to under the minimum number, then a full refund also cannot be made. At six weeks prior, no refunds will be made. SAR reserves the right to cancel a field trip if registration is too low to make it economically viable or for other reasons, including, but not limited to: weather, safety, forest fires, unavailability of trip leader, etc. In such cases SAR will refund registrants’ fees in full. SAR also reserves the right to make changes to an advertised itinerary as circumstances require. To register for this trip click here. For hundreds of years, people of the American Southwest traded among themselves. They used a system of barter to exchange everything from furs, bison hides, foods, woven material, and clothing to pottery, beads, feathers, and turquoise. In the 1800s, the establishment of trading posts linked southwestern trade networks to those in the middle and eastern United States. Besides trade goods, trading posts provided places where people from different cultures exchanged ideas. The traders were a tough breed. They often lived alone, miles from the nearest settlement, at a time when there were few roads and few or no cars or trucks. They learned to speak local languages and often acted as doctors, mediators, and postal workers for their Indian neighbors. They built trading posts out of the available materials of stone, logs, and adobe to store their supplies. The trading post became a center for socializing and exchanging information as well as goods. Besides storerooms, trading posts typically had a public room for trading where people could sit and talk for hours, often around a wood-burning stove. Today, most of the historic trading posts have closed, but there are a few that remain open and still trade with the local native cultures. Join fellow SAR members as we visit some of the most iconic trading posts in the Southwest. Learn about their history as well as their relationships with the surrounding Native American communities. 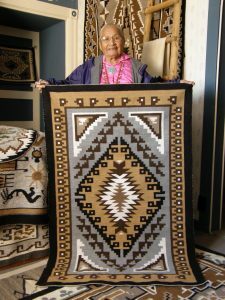 Visits include Shiprock Trading Post, where we will meet with owners Kent and Hillary Morrow and silversmith Perry Shorty and Teec Nos Pos, where we will have a weaving demonstration by artist Roy Kady and tour by owner John McCulloch and Kathleen Foutz. On day two, the group will spend the morning at Toadlena Trading Post with owners Mark and Linda Winter who have invited the group for lunch and a weaving demonstration. 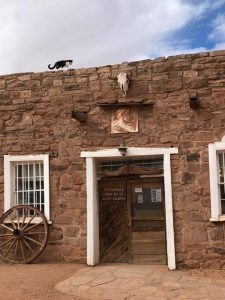 We will tour at the Hubbell Trading Post, which has been serving Ganado since 1978 selling goods and Native American Art, and Joe Milos Trading Company which has been trading with the Navajo, Zuni and Hopi people since 1943. We will meet with the executive director of the Navajo Nation Museum who will enlighten us on commerce and its impact on trade practices, art production and the cultural effect on the Native American communities, both good and bad. On the last day, the group will visit Zuni Pueblo and meet with Wells Mahkee, Jr. of Zuni Pueblo Main Street and another tribal member to learn about the arts at Zuni and the revitalization of their community. Activity Level: Easy: Limited walking. Participants must be able to get in and out of vans and walk unassisted short distances from parking areas to museums or art studios. Includes: Overnight accommodations at the Best Western in Farmington and the historic El Rancho Hotel in Gallup; two breakfasts, three lunches and one dinner; water and snacks on the bus; all admission fees and artist gratuities; and air-conditioned bus. The Tewa people have lived in northern New Mexico for centuries, including the modern villages of Santa Clara, Okhay Owingeh, San Ildefonso, Tesuque, Pojoaque, and Nambe Pueblos. The ancestral villages of the Tewa are scattered along the tributaries of the Rio Chama and Rio Grande, including the archaeological site called “Posi-Ouinge” located near Ojo Caliente. The story of Posi-Ouinge is a central part of the Tewa people’s history of their origin. The Summer People and the Winter People were at one-time divided as they traveled down the Rio Grande and Rio Chama toward the Española Valley, which is the heart of the Tewa’s traditional homeland. Each group built a series of villages as they made their journey. Eventually, the Tewas united to become a single community, and they lived together at one village, a place they call Posi-Ouinge “the greenness pueblo” above the Ojo Caliente hot springs. Leaving—but never forgetting—Posi-Ouinge as a place of residence, mixed groups of Summer and Winter People resumed their ancestor’s journey downstream to found the Tewa Pueblos that we know today. Posi was a thriving center of Tewa village life from the late 1300’s until early 1500’s, just before the arrival of the Spanish. Inhabited by generations of people for over a century, this large adobe village may have had as many as 1,000 ground floor rooms and almost as many on the second and third stories. Today, Santa Clara Pueblo is one of six Tewa-speaking Pueblos in New Mexico and is the home of many notable potters including Nancy Youngblood. We will have the honor of meeting with and hearing from Nancy who is from a long line of remarkable potters including Sara Fina Tafoya and Margaret Tafoya. 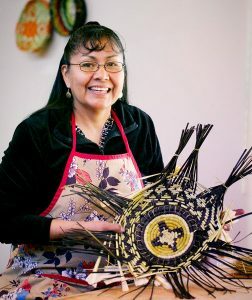 Known for her highly polished and precise ribbed and swirled pottery, Nancy won Best of Show at SWAIA Indian Market in 1989 and Best of Class in Pottery in SWAIA’s 2015 and 2018 markets. During our visit, not only will we have the opportunity to witness an outdoor firing and enjoy a traditional Pueblo meal at Santa Clara Pueblo, we also will meet some of Nancy’s illustrious family. Finally we will learn about their ancestors who helped put Santa Clara blackware pottery on the map, the Tafoya’s of Santa Clara Pueblo. SAR is privileged to hold six pots by great-grandmother Sara Fina Tafoya, four by grandmother Margaret Tafoya, and one by mother Mela Youngblood in the Indian Arts Research Center collections. Porter Swentzell and Kurt Anschuetz will be our guides into the ancestral Tewa world of Posi and the contemporary Tewa community of Santa Clara Pueblo or“Kha’p’o Owingeh”, translated as the “Valley of the Wild Roses.” Porter Swentzell is from a family of artisans, farmers, and scholars at Santa Clara Pueblo. He was the first person to receive a Bachelors of Arts in Pueblo Indian Studies at Northern New Mexico College, received his PhD in Philosophy at Arizona State University, and is currently Assistant Professor and Chair of Indigenous Liberal Studies, at the Institute of American Indian Arts. Kurt F. Anschuetz, received his MA at the University of New Mexico and his PhD at the University of Michigan. 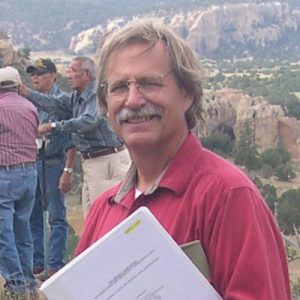 He is an anthropologist and archaeologist, who is engaged in long-term projects documenting the history of occupation by Pueblo peoples and their agricultural water management in the Tewa Basin, including the vicinity of Posi-Ouinge. He also provides technical assistance to the Pueblo of Acoma in its efforts to protect its traditional cultural relationships with Mount Taylor. Activity Level: Moderate, involves climbing a steep, slick-rock escarpment and walking on an uneven dirt trail to reach Posi-Ouinge’s great mounds of melted adobe. Round trip, the hike will cover approximately one mile. Lunch will be a traditional meal at the Santa Clara Pueblo followed by artist demonstration. 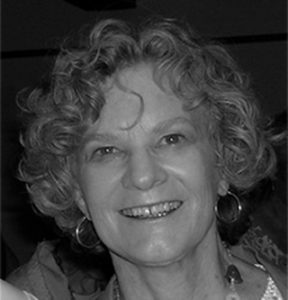 Iva Honyestewa, 2014 Eric and Barbara Dobkin Fellow. Photograph by William Geoghegan. 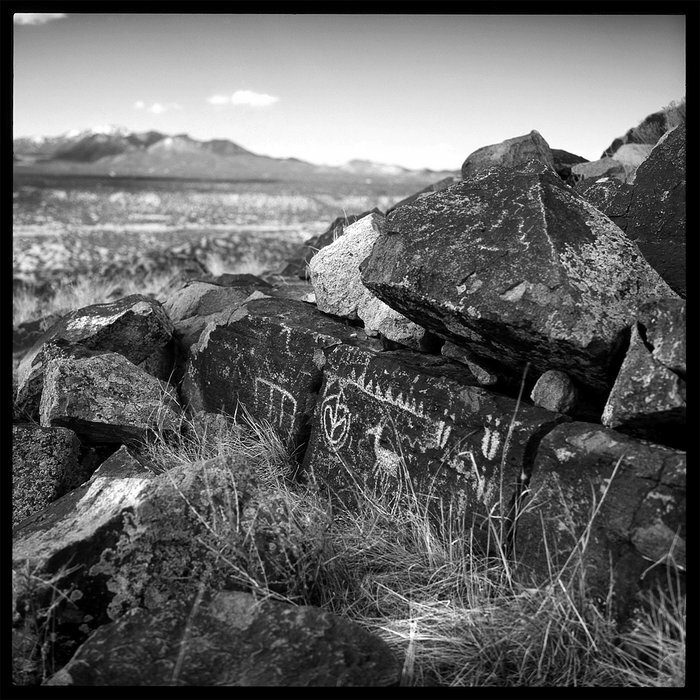 Across three decades the IARC has hosted seventy-five Native American artists within its annual fellowship programs. Seven of these artists have come from Hopi; this trip offers a rare opportunity to peek into the working studios of three former Hopi artist fellows and see the direct impact of the IARC fellowship on their current work. On this trip, we will see a variety of Hopi art forms. We will learn not only about how the artists create their work, but also how they are involved with their community. We will visit with Ramson Lomatewama (2005 SAR King fellow, Hopi glass and katsina artist) and Iva Honyestewa (SAR 2014 Dobkin fellow and Hopi basketweaver and figure artist) in their studios. The ceremonial calendar is rich and full at Hopi. If we are fortunate during our visit, we may have the opportunity to witness the Basket Dance. 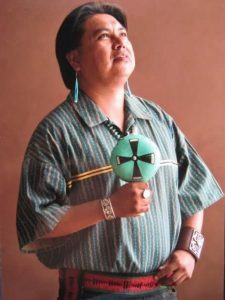 Our Hopi guide will share the history of the Basket Dance and connect us with many of these outstanding artists. Additional stops will be a visit to the Hubble Trading Post and a private tour of the Tawaaki petroglyph panel. Taawaki (Dawa Park) contains over 15,000 petroglyphs dating from 500 BCE to 1300 CE. This sacred site can only be visited with a Hopi certified guide and contains seventeen solar calendars. Bertram “Tsaava” Tsavadawa’s birth name is Bertram Walker, and he is Hopi/Hualapai/Havasupai. He will guide you on an exclusive tour of Old Oraibi village, Daawa Petroglyphs site, and Walpi village. He will also give a lecture on Hopi ancestry, history, and present-day understandings. Tsavadawa is from Old Oraibi village and is a member of the Piikyas Corn Clan. Upon graduating from high school, he attended the Institute of American Indian Arts in Santa Fe, NM, where he majored in museum studies. In 1991, he participated in the Smithsonian Folklife Festival in Washington, D.C., for two weeks, earning him recognition in the 2000 Outstanding Artist & Designers of the 20th Century from the International Biographical Centre, Cambridge, England. Tsavadawa was a participant in the Katsina Carvers Convocation, hosted by SAR in 2004, which explored contemporary issues in Hopi katsina carving. Two of his carvings are housed in the Indian Arts Research Center collection. Includes: Entry and guide at the Hubble Trading Post; overnights at Hopi Cultural Center (HCC); visits to the Old Oraibi village, artist studios, and the Dawa Park; two lunches and a traditional Hopi meal; transportation, gratuities, and water on the bus. July 16, 1945, was a day that changed the world forever. At 5:29 a.m. Mountain War Time, just minutes before sunrise, the night sky above central New Mexico was illuminated in a brilliant fireball of white light as the US military tested the world’s first atomic bomb. Called Trinity Site and located in a remote section of White Sands Missile Range, the first man-made atomic explosion sent a huge multi-colored cloud surging to an altitude of 40,000 feet. The resultant sloping crater at Trinity Site is mute evidence of humanity’s transition to the Atomic Age. In this exclusive field trip, you will have a guided tour at the National Museum of Nuclear Science and History in Albuquerque, then we’ll head south to Socorro. During this time of year there are great bird migrations and, since our group will spend the night in the area, we will be in time for a “fly in” at Bosque del Apache. Our visit to the Trinity Site the next day is unique because the site is open to the public only twice a year, but our group will be granted special access. There we will see Ground Zero and the restored McDonald Ranch, where the plutonium core was assembled and much of the filming of the explosion took place. Ellen Bradbury Reid grew up in Los Alamos. She is the daughter of Edward Wilder, who worked at S-Site machining the explosive charges for the implosion detonator, which was used in the Trinity test. 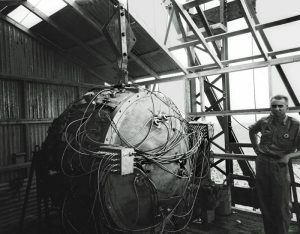 Her father-in-law, Norris Bradbury, ran the Trinity test and succeeded Oppenheimer as the director of Los Alamos lab. Her involvement with Los Alamos and the atomic era is extensive.